Crete is the fifth largest island in the Mediterranean and the largest of the islands forming part of modern Greece. It is relatively long and narrow, stretching for 160 miles (260 km) on its east-west axis and varying in width from 7.5 to 37 miles (12 to 60 km). 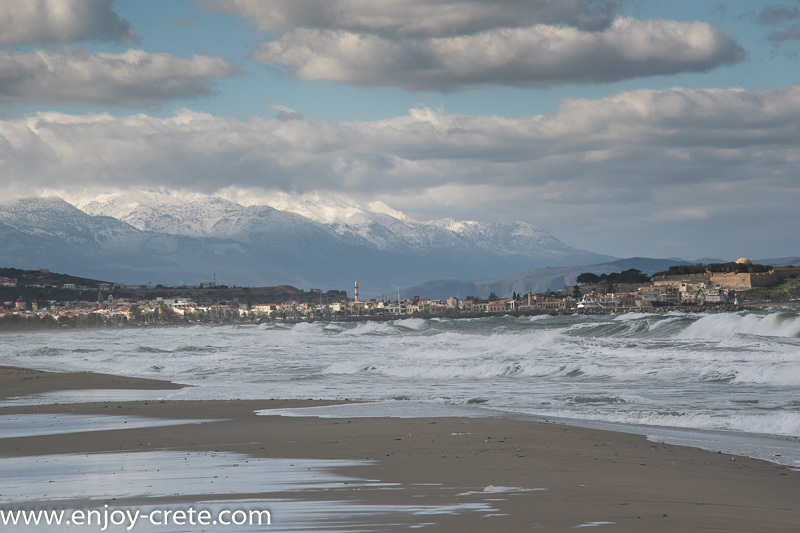 Crete is dominated by harsh mountains rising out of the sea. The island’s east-west mountainous range consists of four main groups that rise to the island’s highest point, Mount Ídhi, 8,058 feet (2,456 metres) in elevation. To the west the Levká Óri (“White Mountains”) reach 8,045 feet (2,452 metres), and to the east the Dhíkti Óri extend to 7,047 feet (2,148 metres) in elevation. These mountains rise above the high upland plains of Nída, Omalós, and Lasíthi. The gradually sloping northern coast provides several natural harbours and coastal plains, where such major towns as Chania (Chaníon), Réthimnon (Réthymnon), and Iráklion are located. The Mesará (Mesarás) Plain extends along the south-central part of the island for about 18 miles (29 km) and is Crete’s major expanse of flatlands. Sandy beaches dot the perimeter of the island along the coastline. 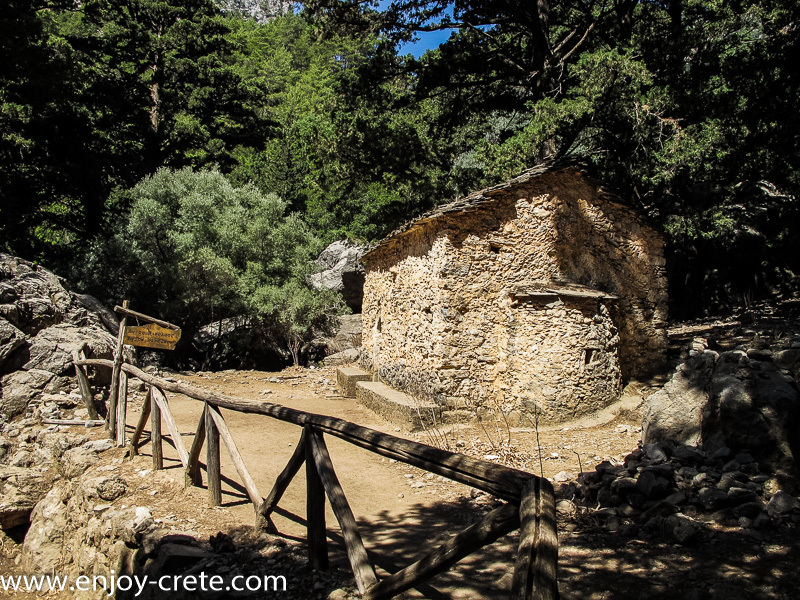 Crete has six small rivers as well as springs and seasonal watercourses. 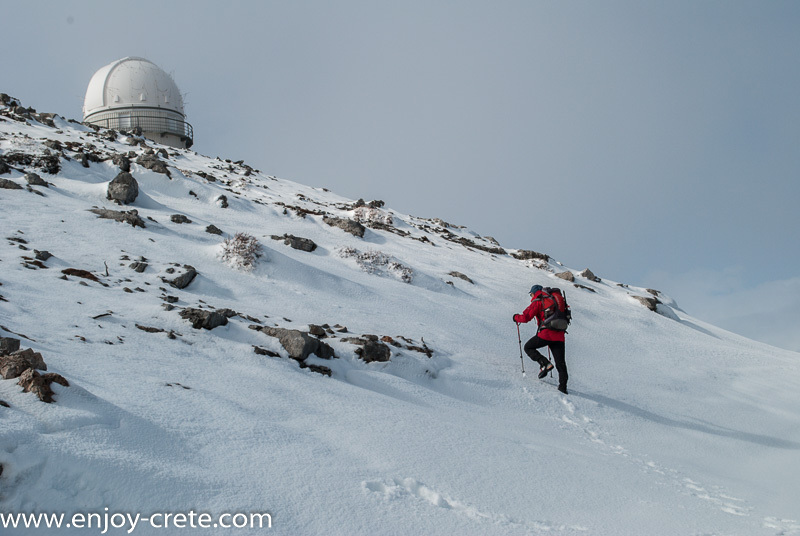 A few meters before the Skinakas observatory,1756m. The Cretan landscape is dominated by characteristic Mediterranean scrub (maquis or garigue). Palm trees flourish on the east coast and in the north, with cedars in the east as well. An array of plant species and flowers thrive in the moderate climate, many of them native to the island. Birds are abundant, and there are some wild animals. The agrími, or wild goat, is found in remote mountainous areas and on offshore islands, where it finds protection in wildlife reserves. Endemic species of wild plants are especially plentiful in and around the gorge of Samariá, one of the national parks of Greece, located in the southern part of the island in Chania region. The southern part of the Aegean Sea (an arm of the Mediterranean Sea), lying between the Cyclades (Kikladhes) islands to the north and the island of Crete (Kriti) to the south. It is the deepest section of the Aegean Sea, reaching depths of more than 10,000 feet (3,294 m) east of Cape Sidero (Akra Sidheros) in Eastern Crete. This particular area is also well know for its super strong winds (it is not uncommon to get winds stronger than 100km/hour).